Quite possibly the most exceptional qualities of every in-wall gun safe, is that it is actually better to hide them from anyone who tries to break into your home than a traditional gun safe. Simply because it’s safely integrated into the wall. These types of so-called In-Wall safes will not be visible to a potential thief, except if they know exactly where it is. If you want to be even more cautious and smart, the best thing, you could do, would be to work with an architect or someone specialized in interior designs. A decoration specialist will be able to blend in your safe to match precisely the wall that it’s constructed into. Built-in wall gun safes may be quite big compared to other types of safes. Therefore, you could be dealing with some space issues if you don’t do your homework properly. If you want to get the most out of the gun safe, you should choose a gun safe that will allow quick access in case of an emergency. I’m not talking about that you should sacrifice safety for quick access, but choose a wall that allows you to gain access in matter of seconds. In an emergency, it’s vital that you’re able to unlock the safe quickly. Therefore, you should not choose a location in your home that will hinder your way to the safe. If you opt-in for a premium and perfectly mounted wall safe, you can rest assured that it was created to be water resistant. 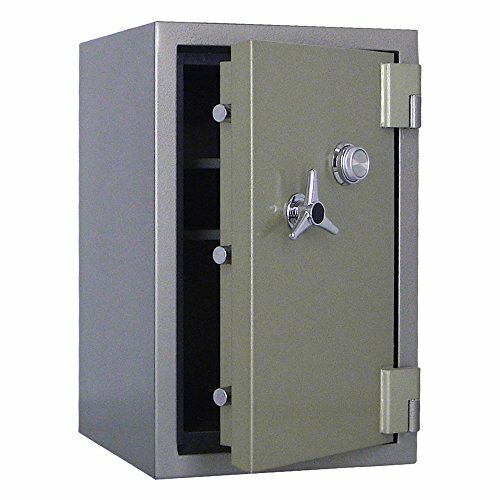 It is extremely important once the area for your desired safe is completely modified, that the safe is integrated higher than the floor level. The logic behind this idea is to make sure that all your contents are safe from any damages caused by water. Therefore, having the safe around feet up from the floor will protect your belongings if you experience any water problems. If you have any children, you already know that they learn by doing and their curiosity can reach a level that you could never imagine. It goes without saying that if a gun safe is visible to a kid, whether it is car gun safe or home gun safe, the child will be eager to explore a way to access it. Be a responsible gun safe owner and make sure that the safe is completely out of reach from children. It can have devastating consequences if a kid is able to access gun safe. They can end up hurting themselves or others. 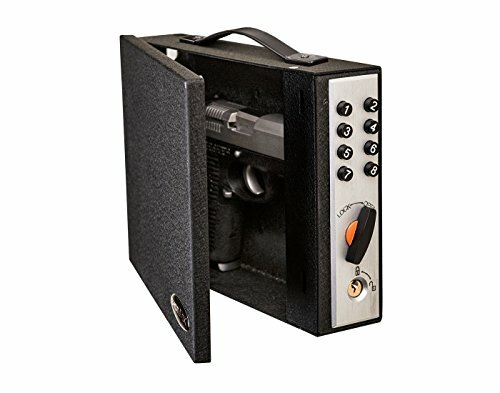 3 How to Choose a Wall Gun Safe? The first item on our list is this brilliant In-Wall safe from StakOn. 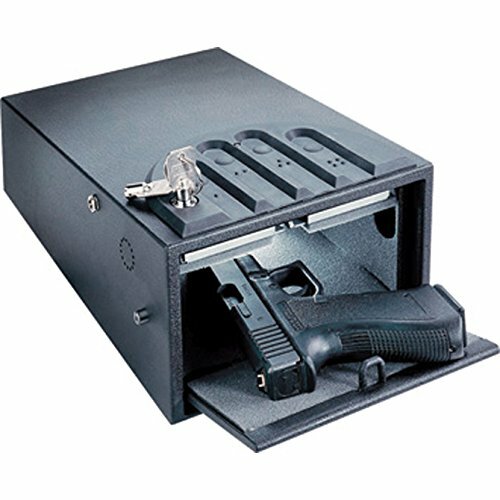 This unit is one of the most compact, and practical gun safes on the market. It has a traditional looking to it, and as you can see, it’s very similar to an electrical box. It is not a heavy gun safe, just around the 15 pounds mark and therefor, you can’t expect the same level of heavyweight security as with a freestanding 600lbs unit. However, a free standing heavy-weight unit will cost significantly more than this StackOn. Once you open the safe, you’ll discover that the complete interior is beautifully padded, so your belongings are protected from scratches. Although the shelves are padded, they are constructed from quality steel material in order to provide top-notch strength. Moreover, you can easily remove the shelves and modify the space to fit your needs. If you run into any troubles with the safe, the StackOn team is there to help you, and they will provide you with a 3-year limited warranty. Current owners are thrilled with the quality construction of this safe, and how easily it is to mount it into the wall. All that it takes is just few minutes, without any assistance. 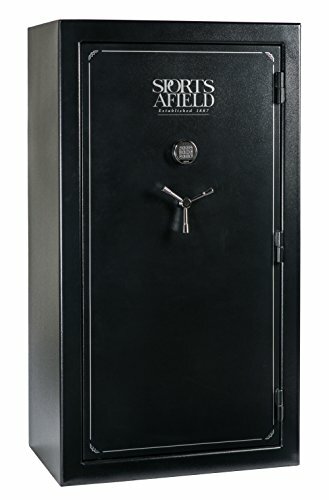 For this price, it’s hard to find a more durable and efficient gun safe. Furthermore, customers are thrilled how sturdy the shelves are, and how easy it is customize the height between the shelves. Have in mind that this unit is very compact, so you won’t have much storage space for your belongings but for this price, it’s a steal. Although it is a quality steel product, this gun safe is not fire or waterproof. Therefore, it is recommended that you mount it high enough from the floor to prevent any water from getting inside. Here we have another StackOn item, but this unit provides more security features since it weighs about 71 pounds. As you can see from the pictures, this is a long gun safe. It is very easy to customize this gun safe to your needs as it comes with removable shelves. You can use these shelves to store pistols, ammo and other valuable items. If you are looking for something to securely store your rifles, you can expect it to hold two long rifles, if your scope mounts are not too high. To keep the rifles in their place, there are adjustable barrel rests included. If you are a seasonal hunter and looking to store your rifles, I would suggest you opt-in for a heavy-floor unit instead of this one. This StackOn product is more ideal for those who are looking for a quick-access gun safe. Overall, here is a sturdy and durable wall gun safe that contains 3-point locking mechanism to ensure its safety. It provides lightning-fast access and its dead easy to program the code. If you end up forgetting the access number, you can always use the physical back-up key. Once you install into the wall, it actually looks fantastic. It has a stylish look, and you could use your creativity to disguise it as a beautiful wall art design. Our fourth item on the list is a biometric wall safe from Barska. This is an excellent solution for those who are looking for a reasonably priced wall gun safe. If you have it disguised inside a wall, it will be harder for a thief to break into the safe because he needs to find it first. This unit is spacious enough to store numerous small pistols, ammos and other valuable items that you might want to keep locked inside a safe. 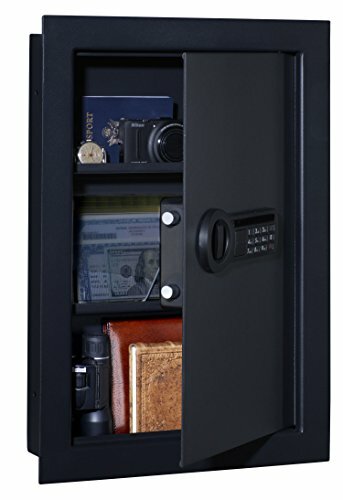 This gun safe is extremely popular among gun owners, and it is one of the best-value biometric safe for sale today. 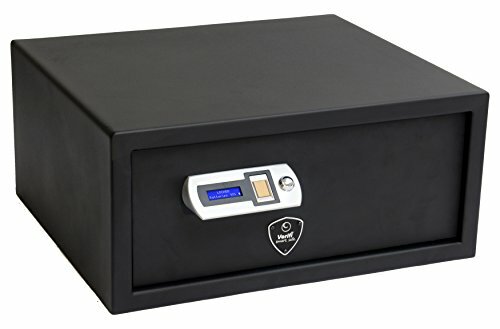 You won’t need any physical key to gain access to the safe as this safe includes a fingerprint scanner, and you can program well over 100 fingerprints in the memory. In case you end up without batteries, you can still access the safe through the two-override keys that are included. 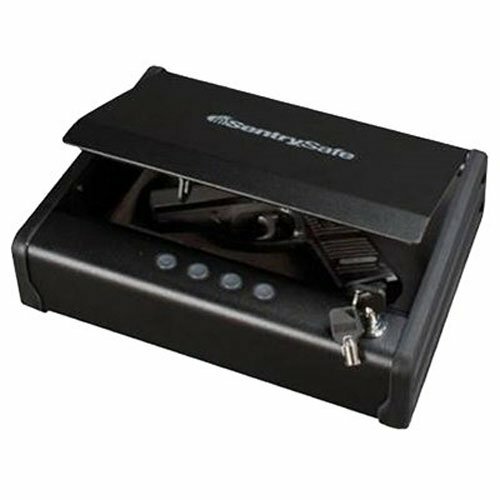 Overall, here is an compact, easy to hide and easy to program biometric gun safe. There are two internal shelves that you can remove and customize the safe to your needs and style. There are also pre-drilled holes if you would like to bolt the safe down for enhanced security. If you decide to bolt down the safe, it will add an extra level of security as the thief will have a hard time removing the safe from the wall. This safe is waterproof if you mount it at least one feet from the floor but like with almost every In-Wall gun safe, this unit is not fireproof. The StackOn IWC 55 will offer you adequate space if you are looking for something to store your rifle in. 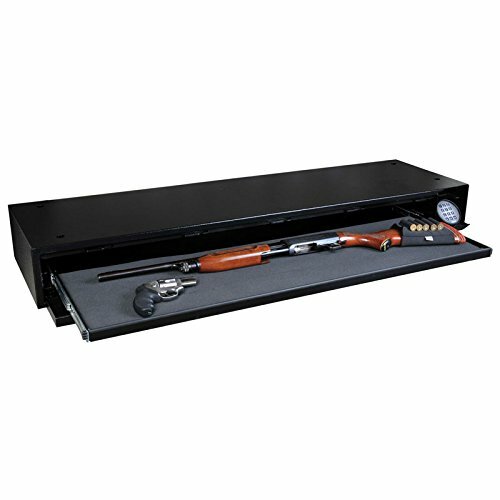 This heavy-duty metal constructed gun safe features removable steel shelves. You can remove the shelves and modify the space just the way you want. The shelves are ideal to store your small valuable items. The whole interior is nicely rugged with thin foam that serves as a protection from dings and scratches. What owners seem to like the most is the thin, but long shape that makes it an easy task to mount into standard walls. However, you have to be sure that you have enough wall space to make the installation process as easy as possible. The StackOn contains a three point locking mechanism and there are also hinges to boost the security level even more to make sure that the door and lock operate efficiently. Moreover, there is a digital lock to provide hassle-free access. 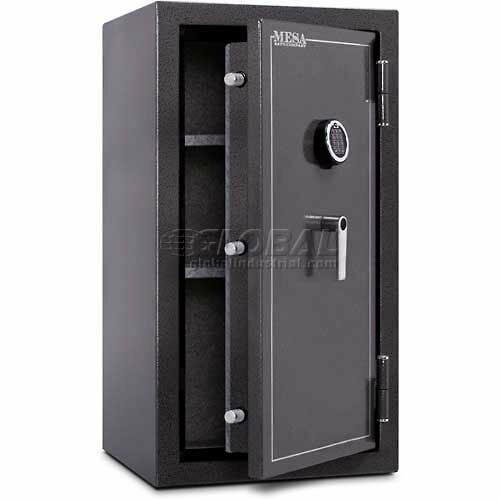 Overall, this is quality built product that offers adequate security and extremely budget friendly gun safe. It is also very easy to hide, or disguise. Moreover, this is a unit that won’t take up any floor space as you will install it into the wall. Owning a wall unit has many great advantages over floor gun safes because it is much easier to hide a wall safe. Therefore, a burglar will have to look for it in order to break into it. The only drawback of this safe is that you won’t be able to stack up your long guns, unless you remove most of the shelves. Another disadvantage is that you cannot securely bolt the safe into the wall at the top or bottom since there are no pre-drilled holes there. With so many in-wall gun safes to choose from, it should be an easy task to pick one, correct? This is so far from the truth. Like with everything in life, we need to make choices based on what fits our needs and styles. 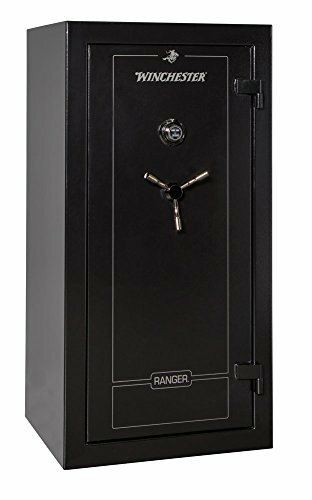 One gun safe that receives raging reviews might not be the ideal safe for your home. 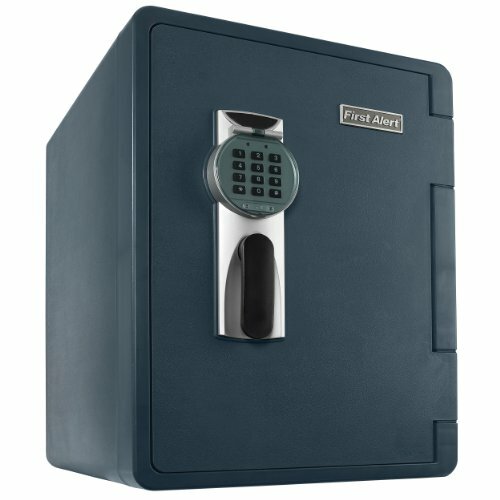 You should figure out what kind of safe you need and make sure that it perfectly fits your demands. There are so many questions that you need to ask yourself before you hit the “purchase” button. You will find for-sale electronic gun safes, biometric gun safes, combination gun safes and gun safes that come with a physical key. Furthermore, you need to figure out what size is ideal. 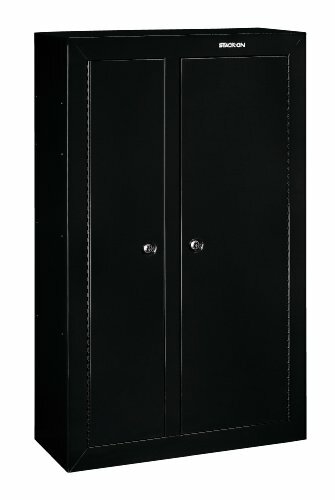 Are you looking for a long gun safe to store your rifles or maybe a combination of long guns and handguns? The sad reality is that crime rate is rising everywhere today, and your own home is no exception from crimes. Having said that, the next logical step to add security to your life might but to invest in a gun for protection. However, bear in mind, if you invest in a gun, you have to securely store it in a gun safe by law. Owning a gun safe will prevent your firearms from ending up in the wrong hands or away from children. It is your job to be a responsible gun owner and to comply with all state laws and regulation. Therefore, you must own a gun safe if you own a weapon. The basic fact is that you will create more secure environment for your loved ones if you lock up your firearms. One of the best features of owning an In-Wall gun safe is that you can thoroughly conceal it. There are so many creative ways to hide an in-wall gun safe. You could, for example, hire an interior designer to help you to blend the wall into your furniture or wall style in a way that no one can notice that you have installed a gun safe into the wall. How to Choose a Wall Gun Safe? There are few points that you need to have in mind before you opt-in for a gun safe. First, you need to perfectly measure the space where you will install the gun safe. If you do your homework, you will end up with the perfect safe that fits your needs and style. Understand the size you need and make sure that your current gun (or guns) fit into the safe. Moreover, if you plan on expanding your gun collection, make sure you end up with a safe that will be able to store your future guns as well. You should take into account the weight as well. There is no point in installing a 400 pounds gun safe into a thin dry-wall. Make sure that there are no obstacles that can hinder access to the safe. Quick access is everything and every second counts in an emergency. What kind of area do you live in? Is it necessary for you to buy a fireproof safe? what about waterproof unit? Furthermore, you need to figure out what kind of safe you want. There are so many types for sale that it can be a real headache to process all the information. Choose wisely, depending on what you need because you need to choose from a biometric gun safe, mechanical gun safe and more advanced safes that require you to scan your fingerprint. Like I have been mentioning repeatedly, there are so many types of gun safes out there. Therefore, it is extremely important that you pick one that meets your demands. Furthermore, you need to think about how much you are going to spend because gun safes come in all forms and sizes. 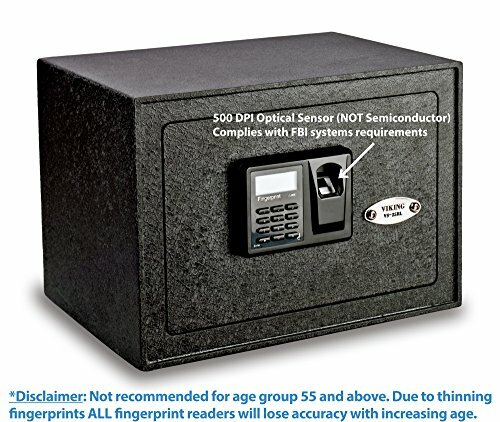 A biometric unit, that allows you access your belongings in matter seconds by scanning your fingerprints, is more expensive than a traditional gun safe. Overall, be on the safe side and be a responsible gun owner. If you own a gun, it might protect your family, but if you don’t securely lock it up, it might end up harming them. If you are reading this, then you are most probably thinking about investing in an in-wall gun safe. You might be thinking that it’s extremely difficult to install a gun safe into the wall in your home, but the fact is that it is an easy task. All the top manufacturers will include easy to understand instructions on how to mount the safe into the wall. However, it will take some effort from you and installation won’t just take few minutes. Having said that, it’s important that you choose the location wisely. The reason is, if you decide, one day, that your current location is not that convenient, you’ll have to fork out some money to remove it and install it into another wall. Step number one is to decide where in the house, you want the safe. Basically, the location is not that crucial because the safe will be hidden inside the wall. However, you need to make sure that the safe is properly concealed and you are able to access it without obstacles in the way. Once you decide on the location, make sure that all the measurements are accurate. It’s important to measure every aspect of the designated space in order to confirm that the safe will actually fit where it is supposed to fit. Once you have measured everything, cut into the wall the measurements so your gun safe can fit into a hole or square. Then put the safe into the cut-out and to boost the security even more, you can put cement to make sure that the gun safe stays in place. Now you have installed the unit into the wall but you have to make sure that it doesn’t stand out as a gun safe. Hire a decorator or use your creativity to blend the safe into the wall. You can invest in slides and easily install onto the safe and art or mirror framework. If you do that, then you can just slide the mirror to the left or right and access your safe, and once you are done, just slide it back. If you do not go for the slide-solution, make sure it blends properly in with the wall. 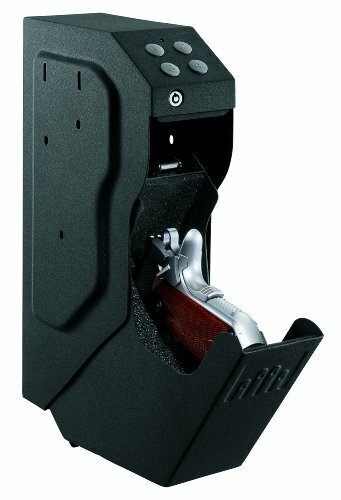 Now we have gone through the best in wall gun safes available on the market today. This is a fantastic choice for any gun owners. However, in-wall gun safes are not designed in the same way as traditional gun safes. They are thinner and not as heavy as floor gun safes. Therefore, the amount of security features won’t be the same. On the other hand, in-wall units are excellent solutions for those who are looking for a safe that is hard to reach by children. In-Wall units can be installed high up inside, away from little curious hands. The bottom line is that you should seriously consider investing in a wall safe if you need to store your guns and valuable. Although they are not as heavily constructed as traditional safes, they do offer the ability to be easily hidden. Another factor to keep in mind is that wall units are not fire or water-resistant. Overall, the gun safes above are the best wall gun safe on the market today and I’m sure you will be able to pick your best solution, having your needs and demands in mind.